» The Day the NHL Died: How Far Have We Come Since the Canceled 2005 Season? The Day the NHL Died: How Far Have We Come Since the Canceled 2005 Season? A look back at 10 of the key changes that emerged from the wreckage of that miserable week, and where we find ourselves a decade later. Ten years ago this week, the NHL was a league in crisis, on the verge of a self-inflicted disaster that was literally unprecedented in major pro sports history. On February 10, 2005, with a lockout already dragging into its sixth month, the NHL and NHLPA walked away from the table, ending talks on a new collective bargaining agreement. On February 14, the league announced that the season would be canceled in two days. On February 15, the two sides traded offers, but remained far apart on a possible salary cap. In a cruel twist, the two sides briefly restarted negotiations days later at the behest of Wayne Gretzky and Mario Lemieux, but the talks quickly fizzled. Your feelings about that week would have had a lot to do with your feelings about the state of the NHL in 2005. Maybe you saw it as a sacrilege, the ultimate triumph of naked greed over whatever idealism was left in professional sports. Or maybe you simply viewed it as a painful but necessary moment, like a limb being amputated to save a dying patient. But in either case, it was a miserable time to be a hockey fan, and there were legitimate concerns over what it would all mean for the long-term health of the league and the sport itself. A new CBA was eventually reached on July 13, 2005, and the league resumed play in October. That brought the onset of the salary-cap era, a host of new rules, no small amount of concern for the future, and at least some degree of hope that a suffering league could right itself. Ten years later, some of that hope has been realized; some of it looks almost pathetically optimistic in hindsight. Here’s a look back at 10 of the key changes that emerged from the wreckage of that miserable week in 2005, and where we find ourselves a decade later. The hope: A new salary cap was the lockout’s central issue, and the owners made it clear they wouldn’t play another game until they got one. By implementing a cap — or “cost certainty,” as Bettman annoyingly insisted on calling it — the league promised to level the playing field. Big-market teams like the Rangers, Red Wings, and Maple Leafs would no longer be able to spend with impunity, driving up salaries while pricing out their competition. Smaller markets would be able to retain their star players, and even have a shot at competing with the big boys for marquee free agents. The reality: By any reasonable measure, the system has worked as designed. Yes, the cap has risen more quickly than anyone expected, thanks to surging revenues (more on that in a bit), but that would fall into the category of nice problems to have. Yes, we’ve all been forced to learn what the word “escrow” means. And sure, some teams eventually found and exploited loopholes, forcing the league into the messy business of patching the rules after the fact. But in the big picture, the cap has worked. The owners have their cost certainty, and the big markets can no longer dominate. There’s an argument to be had about whether that’s really a good thing — having your best markets do as well as possible drives more revenue for everyone — but it’s what the league said it wanted, and it got it. Four franchises had relocated during the ’90s, and others had come close enough to seem like a done deal. The NHL is notoriously reluctant to open the books on its teams, and the state of any individual franchise often depends on what particular PR story is being spun — teams that were doing great yesterday are suddenly struggling for their lives when a new arena deal is on the table today. But there’s little doubt that many teams were hurting badly in 2004, including several in Canada. A salary cap and a bigger slice of revenues would give those teams a chance to stabilize. The reality: Again, the hopes here have largely been realized. One franchise, the Atlanta Thrashers, did relocate in 2011, but that situation was likely unsalvageable under any system. Others continue to be question marks, with ongoing whispers about teams being candidates for relocation. But so far, problem teams like the Panthers and Coyotes have survived, and once-struggling Canadian teams have thrived.2 We don’t live in the world of prosperity that Bettman promised, but the situation has unquestionably improved. Although that’s been largely due to the strength of the Canadian dollar, which is now plunging. The hope: Bettman’s second promise was “an era of heightened competitive balance for our players.” There was a perception that the NHL was no longer a league in which all 30 teams had a chance to win, and there was some truth to that: The Red Wings, Avalanche, and Devils had combined to win eight of the last 10 Stanley Cups, while some small-market teams struggled just to make the playoffs. The problem wasn’t quite as clear-cut as some painted it — the Flames and Lightning had just played an unlikely final in 2004, and teams like the Mighty Ducks and Hurricanes had also made the final in recent years — but many fans looked at anything-can-happen leagues like the NFL and demanded more parity. Strategic tanking for Connor McDavid and Jack Eichel is no doubt a factor. But overall there does seem to be more parity, a fact that the league itself proudly trumpets. Not everyone is a fan, and again, you could question whether parity makes good business sense. (The league has lucked into big-market Cup final matchups like Boston/Chicago and New York/Los Angeles, but let’s see how Nashville/Tampa Bay goes over.) But the league chose this path, and many of its fans seem to like it. As an added bonus, the shootout combined with the loser point results in almost the entire league now finishing over .500 each year, creating the illusion of tighter playoff races and more competitive teams. As long as you don’t look too closely, (almost) everyone is a winner. 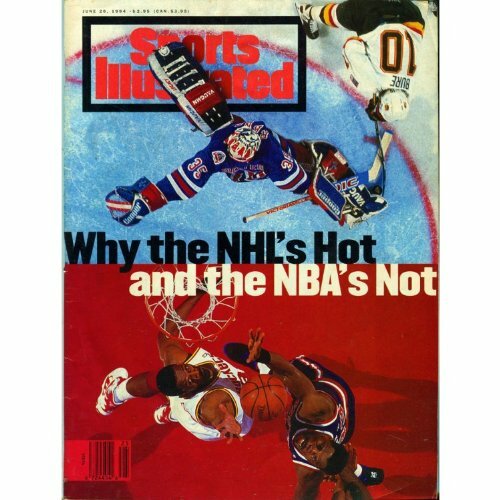 When the lockout ended, the league took the opportunity to unveil several rule changes, most of which were designed to open up the game and revive offenses that had gone dormant over the previous decade. The league had sat on its hands during what had come to be known as the dead puck era, watching helplessly as a new focus on defensive systems drove scoring rates to record lows, but now it was finally taking action. The elimination of the two-line pass rule, restriction on puck-handling goaltenders, and a reemphasis on calling obstruction fouls would bring back the goals. The reality: Scoring did indeed increase for the 2005-06 season, and many hailed the league for solving the problem. But in hindsight, the boost was a mirage, caused almost entirely by an increase in power plays from the obstruction crackdown. Once players adapted and penalty rates returned to normal, scoring plummeted back to dead puck era levels, and they have stayed there ever since. At least one new rule has had an impact: the shootout, the tiebreaking skills competition that can be counted on to determine a playoff spot or two each year despite being essentially random. Many fans hate it, but it appears to be here to stay. Has it all added up to “unparalleled excitement and entertainment”? That’s in the eye of the beholder, and there’s certainly more to excitement than goal totals, but both the numbers and the eye test suggest the league hasn’t delivered. The hope: The league’s goal was to achieve “cost certainty,” in which a set percentage of revenue would go to the players and no more. In theory, this means the NHL didn’t care about how that money was divided up. But in reality, there was a feeling that teams were being forced into signing massive deals they’d inevitably regret. The reality: The owners keep signing massive deals they inevitably regret. The deals just look different now. Until this past offseason, only Alexander Ovechkin’s average had cracked the $9 million AAV mark. But with their annual earnings being artificially restrained, players found themselves asking for longer-term deals. And the teams gave in, despite NHL contracts being guaranteed with only limited (and painful) buyout protection. Soon, contracts for star players were stretching into double-digit years, many structured to lower the initial cap hit while pushing the real pain to later years. The situation became so bad that the league tried to institute a five-year limit during the 2012 CBA negotiations, with deputy commissioner Bill Daly even calling it “the hill we will die on.” The league ended up settling for an eight-year limit, which has become the de facto standard for star players. Suddenly, Bobby Holik doesn’t seem so bad. At least he was only a five-year mistake. The hope: The 2005 agreement was largely seen as decisive victory for the owners, and a defeat bordering on capitulation for the players.5 But the NHLPA did win what seemed like one major concession: a new free-agency system that would allow players to reach unrestricted status as early as age 25, far sooner than under the previous CBA. That created the tantalizing possibility of superstar players hitting the open market in their primes. Some of whom had sworn to “sit out for the rest of our lives” before ever accepting a salary cap. The reality: Call it an unintended consequence. The fear of losing players for nothing inspired teams to start locking up their stars with long-term deals, and, with a handful of exceptions in the early years, top-tier players virtually never make it to free agency now. That’s created a free-agent market that’s far thinner than what fans had become used to in the pre-lockout days, not to mention one in which virtually every major signing turns out to be a mistake. The hope: Bettman made a point of promising that much of the money the owners would be saving would be passed down to the fans in the form of lower ticket prices. No reasonable fan actually believed him. The reality: Many teams did freeze or even reduce ticket prices in the lockout’s immediate aftermath, mainly out of fear that outraged fans would shun the league. But not surprisingly, any drop was temporary, and the league quickly returned to the status quo of rising prices. That’s a good thing, by the way, since the status quo means that ticket prices are determined by supply and demand. That’s as it should be, because as much as we’d all like to save a few bucks on a night at the rink, the owners should charge what the market is willing to pay. That’s how it’s supposed to work. And it’s why Bettman’s promise of lower ticket prices was such insulting nonsense. The hope: The big one. With teams around the league on more stable footing, the league could finally shift into growth mode. Franchise value would increase, new TV contracts would be signed, and the league’s revenues would grow. The reality: Not only have all of those things happened, but they’ve happened to a greater degree than even the most rosy-eyed optimist could have predicted. Revenue has skyrocketed, the league signed a 10-year U.S. TV deal with NBC and a 12-year deal with Rogers in Canada, and franchise values are trending up. The situation is so good that the league is on the verge of another round of expansion, one that will see record-shattering expansion fees charged. There’s simply no denying it: The league is raking in unprecedented revenue, far beyond anything it could have imagined just 10 years ago. It’s tempting to look at the ongoing spike in revenues after 2005 and conclude that the lockout was a wild success, and that Bettman deserves all the credit in the world for making his owners rich. But does he? Some context is helpful here. In today’s market, every sports league is raking in unprecedented revenue, thanks to better marketing, new revenue streams, and (especially) an almost insatiable desire in the Netflix and DVR era for live sports programming. Short of the league folding, it would have literally been impossible not to generate record-setting revenue in that kind of environment. The hope: Bettman’s first lockout came in 1994, just as the NHL seemed poised to challenge the NBA for the status of North America’s third-most popular sport. The ’94 lockout killed that momentum, and the dead puck era sapped the game’s entertainment value to the point at which, just a decade later, hockey was a distant fourth and fading. By getting its financial house in order, the NHL could finally push back into the spotlight. The reality: It just hasn’t happened, and at this point there’s no sign it ever will. Hockey is still the undisputed no. 1 pro sport in Canada,6 but the sport’s impact in the United States has essentially flatlined, and punch lines about the sport’s lack of popularity have become clichés. The NHL certainly deserves credit for innovations like the Winter Classic, and the sport continues to grow at the youth level, but the overall impact on the league’s popularity has been minimal. At this point, hockey remains a niche sport. It’s a lucrative niche, to be sure, and perhaps that’s all the league should ever really aspire to. But any hope that the pain of 2005 would set the stage for a surge in popularity just hasn’t been realized. The hope: In becoming the first pro sports league to cancel an entire season, the thinking went, the NHL would be stumbling into uncharted territory. But it was a necessary step, we were told, and the hope was that it would be a journey the league would need to take only once. We were here because the 1994-95 lockout hadn’t gone far enough — the owners had lost their nerve and stopped short of the winning changes they needed. Now there’d be no such compromise. The league would do what needed to be done, endure whatever pain needed to come along with that, and then the ship would be righted. This would be hockey’s great war, and once it had been fought, we’d have peace in our time. We’d seen Major League Baseball cancel the World Series in 1994, then settle into a decade of labor peace.7 The NHL would follow suit. Once this was over, nobody would ever want, or dare, to go down this road again. Which, of course, continues to this day. The reality: Seven years after the lockout to end all lockouts, the league delivered yet another lockout, one that would wipe out half a season. And unlike in 2005, there wasn’t even some grand issue at stake. The owners just wanted to squeeze out a few more percentage points and win a handful of small concessions. So they shut down the game, again, and told us how sorry they were to do it, again. We went through the same song and dance, with threats and posturing on both sides. And when it was all over, the fans came streaming back, again. At this point, lockouts feel like a permanent fixture of the NHL’s ecosystem. They’re a feature, not a bug. The current CBA allows either side to opt out in 2020, at which point the owners will almost certainly shut the league down once again. That next lockout may succeed in fixing some of the game’s problems. It will almost certainly fail to address others. And years later, we’ll be able to look back and debate whether it was all worth it. We’re hockey fans, after all. By now we’ve had plenty of practice.